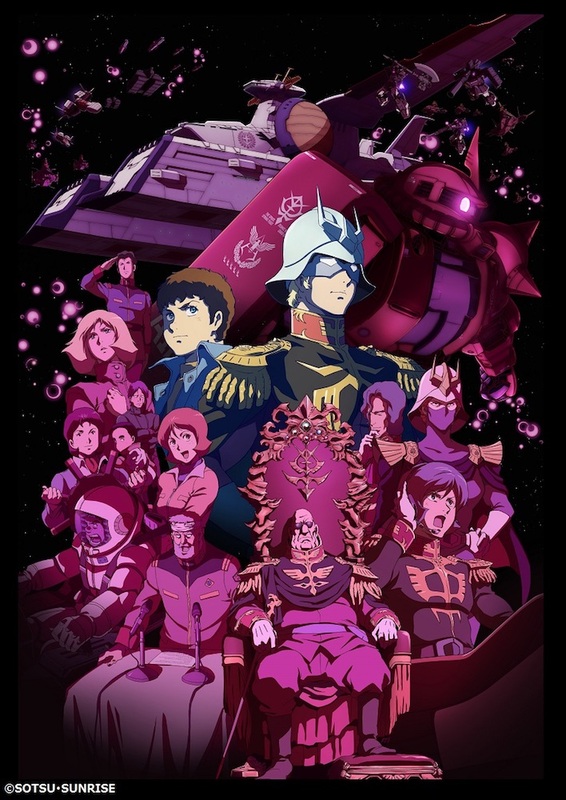 UK Premiere of Gundam the Origin VI at MCM London Comic Con May 2018. Catch it on Sunday 27th May 2018. Hi everybody! We’ve been peppering you with announcements pertaining to our MCM London Comic Con activities of late, be it the activities of Anime Guest of Honour, Shouji Gatou, or our efforts to bring anime to the big screen within Comic Con itself thanks to the return of MCM Loves Anime and screenings of Your Name and Maquia. However, we’re not done yet, and this one is for all of you Mobile Suit Gundam fans out there! If you’re a regular attendee of London Comic Con, you’ll know that over recent years we’ve tried to premiere the latest episode of Mobile Suit Gundam: The Origin at the event whenever possible, and this May we’re doing it again by bringing you the very first UK screening of the final instalment in the series, Mobile Suit Gundam: The Origin VI – Rise of the Red Comet. After the fierce battle, as the Zeon and Federation sides take their places at the negotiating table, a certain declaration is transmitted throughout the world. Meanwhile, the Federation Forces launch “Operation V,” their plan for a counterattack. The language of the screening’s presentation will be in Japanese with English subtitles. Entrance to the screening will be a on first come, first served basis, so be sure to arrive in good time to secure your seat. We look forward to seeing you at this premiere, and stay tuned for even more details about our Comic Con plans in this final week or so leading up to the event! Mobile Suit Gundam Literally is my life, I will be attending this dressed as the. Mighty Char Aznable himself. As I have done at MCM london for the past 6 years, I do hope that the movie will be in Japanese Audio With English Subtitles like you did for Gundam Origins Episode 4 which I attended! Because Char’s Voice In Japanese is the best!!! I do look forward to it! I meant Episode 3* sorry I actually got my Episode 3 signed that weekend! Attended the screening for Origin I and II London about 3 years ago cosplaying as Bright Noa.